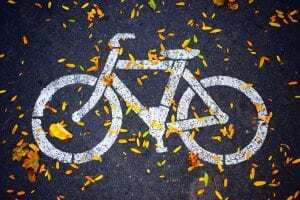 Brooklyn, NY (April 13, 2019) – On Sunday afternoon this past week, police responded to the scene of a bicycle accident that led to injuries in one person. Those at the scene said that emergency vehicles were at the scene of the accident to take the injured party to the hospital. Police say that the cyclist, who was not identified, was struck by a vehicle on 36th Street, just off of 13th Avenue. The victim was seriously injured and the driver of the vehicle that struck him stayed at the scene of the accident. Police say that the victim is now in stable condition. The investigation into the accident continues. First and foremost, we would like to take this time to extend our sincere sympathies to the party injured in this accident with the hopes that he will receive a full recovery from his injuries. We understand how desperate you might be feeling if you have been hospitalized and are left to pick up the pieces of the aftermath of your bicycle accident. You might be feeling fearful, which is why our bicycle accident attorneys are here for you. Our attorneys at Hach & Rose have made it our personal responsibility to assist those who have been negatively impacted by a serious accident on our roads. We do not want you to feel as if you have to move forward alone, which is why it is tremendously imperative to understand what an experienced personal injury attorney can do for you. If you have been injured, you have options for recovery. Contact us at 212-779-0057 for more information.